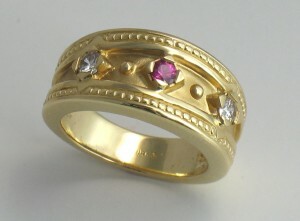 14k yellow gold ring with Etruscan inspired design. Notice the use of circles, squares and triangles within the design as well as the classic gold beading pattern. A very comfortable ring.